Roy Lichtenstein: Pop remix may have shut its doors but for those interested in the Pop master and his working methods, there’s more! 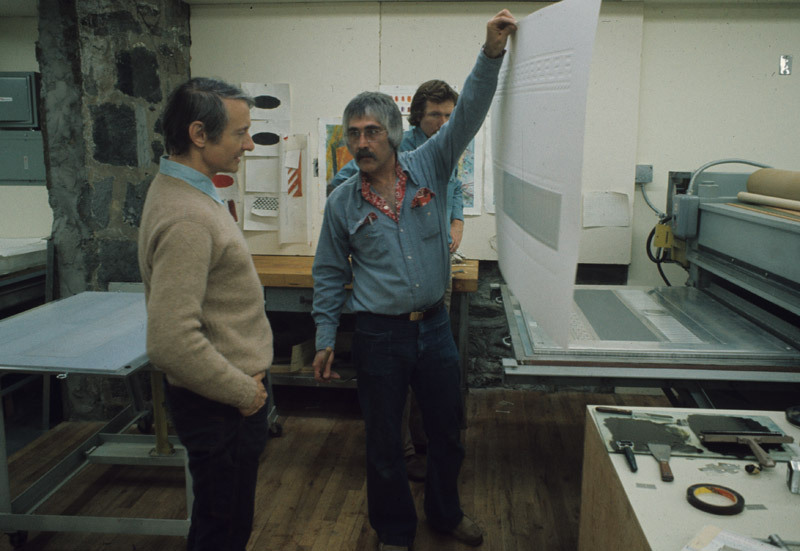 Ken Tyler and Marabeth Cohen-Tyler’s visit to the National Gallery of Australia in July last year presented a significant opportunity to learn more about Roy Lichtenstein and his print projects direct from Tyler, the master printer with whom he had a long and fruitful collaboration. Video and audio content captured during this visit is now available on the website, giving audiences access to a first-hand perspective on Lichtenstein and the Tyler workshops. In conjunction with the opening of Pop remix, Ken presented a rich and insightful lecture elucidating his experiences of working with the artist, fondly titled ‘Reflections on Roy the happy art maker 1969-1994’. Audio and supporting material from this lecture can be accessed here. 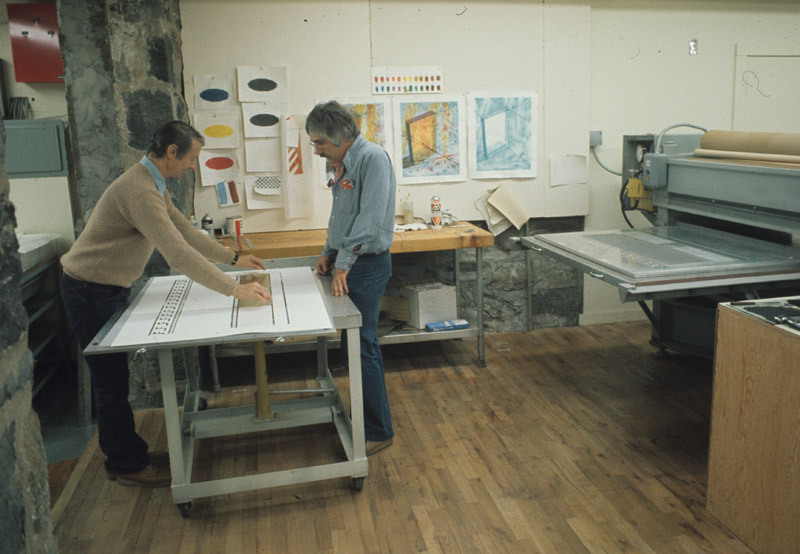 A highlight of Pop remix was undoubtedly the 1976 Entablature series of mixed-media prints in which Lichtenstein put classical architectural elements through his own unique Pop Art filter. Produced over two years, the series incorporates screenprinting, lithography, collage and embossing and represents the pinnacle of technical complexity in Lichtenstein’s collaboration with Tyler and the staff at Tyler Graphics. In the video below, Ken outlines some of the many challenges the team encountered during the making of these ground-breaking prints.